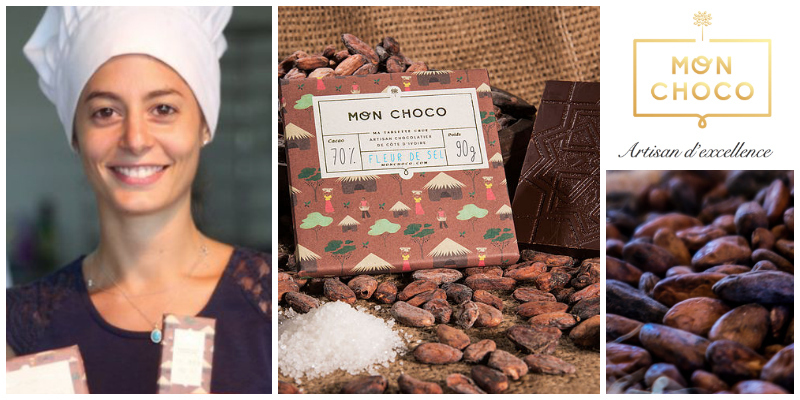 - Dana Mroueh is the founder of MonChoco, an artisan chocolatier in Côte d'Ivoire. Her products are made from organic cocoa beans sourced from Côte d’Ivoire and she makes raw chocolate to preserve the taste and the natural nutrient of cocoa beans. Her chocolate is very pure, it is made only from organic cocoa and brown sugar. Her approach is environmentally responsible and sustainable, trying at all times to reduce the impact on the environment.